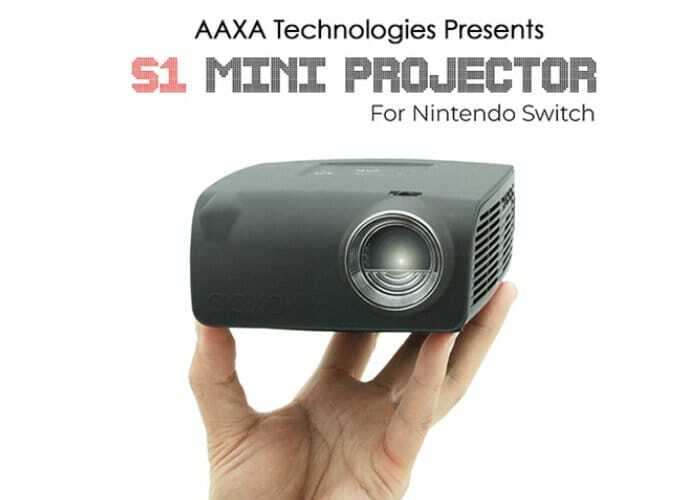 A new Nintendo Switch projector has been created by AAXA Technologies offering a small compact size projector complete with speaker and docking system for your Nintendo Switch and USB-C smartphones. 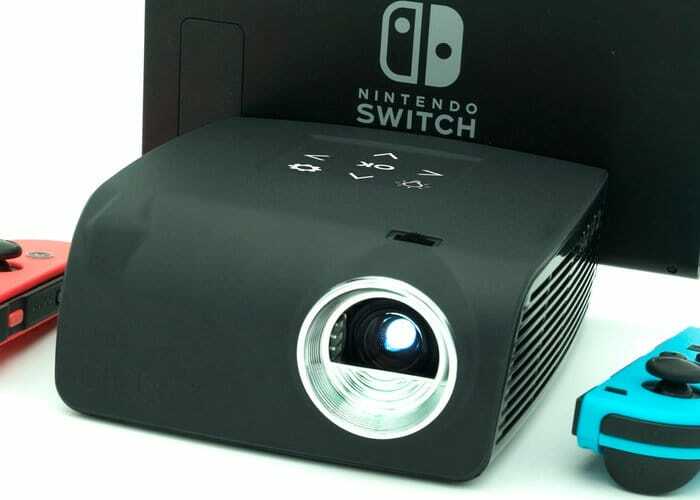 The S1 Nintendo Switch projector has this week launched via Kickstarter and is now available to back with early bird pledges available from $199 or roughly £150. If all goes well worldwide shipping is expected to start next month during November 2018. “The AAXA S1 was conceptualized when AAXA’s engineers watched 4 children struggle to play a racing game on a 6” screen at a crowded airport – an endeavor that ended with some shoving and tears. The AAXA S1 solves this problem by providing a mobile big-screen for the Nintendo Switch (and Android phones) allowing all gamers to enjoy playing without eye-strain, neck cramps, or shoving!” Watch the demonstration video below to learn more. “Through many months of testing, we’ve got the S1 to provide the best balance of battery and performance” For more details on the AAXA S1 Mini Switch projector which is capable of transforming your display from 6 inches to 100 inch portable display jump over to the official Kickstarter crowdfunding campaign page by following the link below.